Former BYU center Brandon Davies is now a Los Angeles Clipper after signing a partially guaranteed contract Thursday afternoon, the team reported. 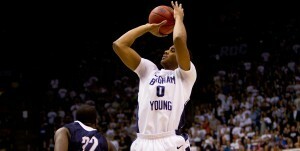 Former BYU basketball star Brandon Davies recently signed a contract to play for the Los Angeles Clippers. Davies averaged 5.8 points and 4.0 rebounds in 15.8 minutes for the Clippers during the NBA’s summer league, another BYU success story is one step closer to lacing up in the NBA. While the contract is an indication that he has a secure future in the league, Davies said he is driven to a new level after the day’s events.